A person can never have too many bags. This bag is perfect for those times when you want something light and small. It is especially nice for traveling when a heavy purse is difficult to lug around. It has pockets on the outside, 2 pockets inside, along with a zipper pocket. You will be able to add all your personal touches and shop with a one of a kind creation. Hope to see you there. Julie will lead you step by step. 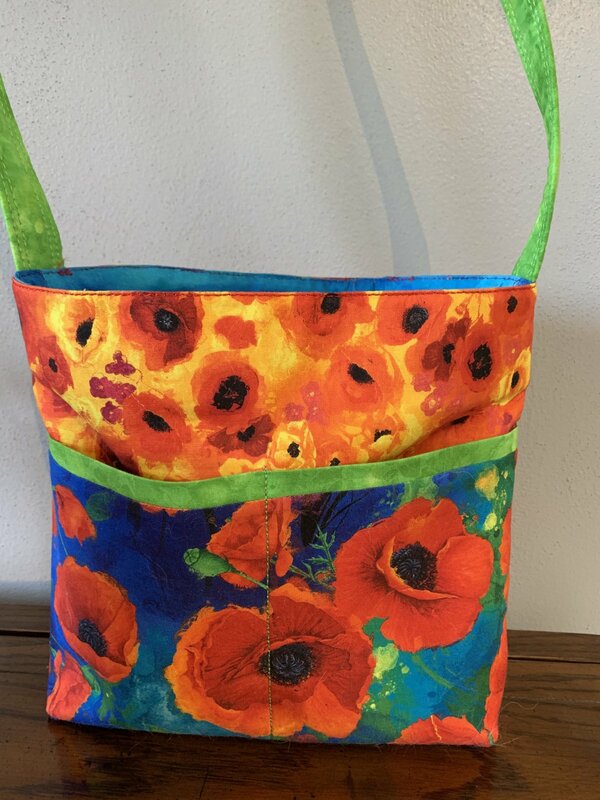 Instructor Bio: Julie loves bags and creates many different kinds for family and friends as gift. Check out some of her creations on her Facebook Page, "Just Stitched by Julie."